Denise True founded True Assisting with the motto of providing a matchless personal assistant service focused on managing and growing businesses in a wide range of niches. 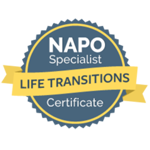 She is a seasoned professional, renowned for her competence, work ethic and talent to create effective time saving solutions for her clients. This has made her one of the area’s leading personal assistants. Since I can remember, I have always found a certain level of satisfaction in assisting people. From my family to friends, I had always helped people. I had also managed to culture a strong work ethic and the ability to manage time in an optimal way, in order to get the most use out of it, from a young age. I later found my calling in the field of personal assistant services. It has now been nearly 3 decades, and I have managed to achieve the epitome of excellence in this field. I have served high-end clients in various niches, and I have been able to reach a level of 100% satisfaction rate, which I prize the most. I started my first job in the hospitality industry working at a local hotel in High School. I worked several years for a residential/commercial restoration company handling water, fire, and smoke-damaged properties. Shortly after high school I started my own residential and commercial cleaning company and had numerous real estate and post-construction clients. During college, I worked closely with several families and became a trusted and dependable source for running multiple households. I was asked to handle more personal items for clients (organizing and maintaining schedules, contacting vendors and keeping financial records). 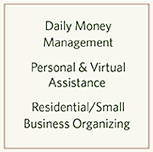 After graduating with a degree in business, I continued to build upon my personal relationships with clients and ultimately formed what is now True Assisting — a mixture of personal, business and virtual help for busy people needing extra support with their schedules, to-do lists, money management, and all that a busy life in the 21st century brings. 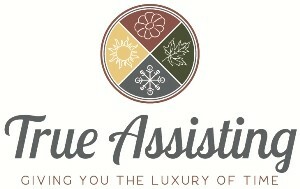 Try True Assisting today, and experience our service on a personal level. We go the extra mile for you, every time!